Marijuana grown for medical purposes in Colorado is making its way to other states and into the hands of people without cards at an alarming rate, reflecting ineffective regulations and lax enforcement, according to a report released today. The study could be quite damaging to the industry, as government agencies and medical marijuana opponents might use it as justification for a crackdown on MMJ in Colorado. It also strengthens the wide-held perception (true or not) that the medical marijuana industry is rife with corruption and abuse. The timing of the report is terrible for the MMJ community as well considering it is under assault everywhere it turns. 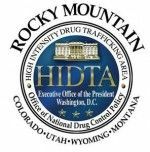 The study – conducted by Rocky Mountain High-Intensity Drug Trafficking Areas (HIDTA), an arm of the U.S. Office of National Drug Control Policy – examined more than 70 public records. The cases involved patients, caregivers and dispensaries allegedly selling or providing medical marijuana in violation of Colorado’s MMJ laws. It identified 23 states where marijuana grown for medical purposes in Colorado was discovered. In some cases, people busted for marijuana possession in other states claimed they obtained the cannabis via back-door sales at Colorado dispensaries. In other cases, those caught had medical marijuana cards or worked at dispensaries and planned to sell the stash elsewhere. Additionally, police in Kansas, Illinois and states on the East Coast say they have seen a significant increase in the amount of marijuana traced back to Colorado. These examples show that Colorado is becoming a “source state” for marijuana, the report surmises, fueled in large part by the MMJ industry. The HIDTA points out that the study was small in scale and is not comprehensive. But it added that there was a relatively high number of cases of marijuana being “diverted,” indicating that the problem is much bigger than expected. You can bet the industry will poke holes in the report. And such efforts might be successful to some degree, given the limited scope of the study. Also, you have to put it in context: How often does this happen with other pharmaceuticals? You could probably find thousands of examples of people selling or providing prescribed drugs to those who shouldn’t have them. But the examples given in the report – and the sheer number of them – will likely be used to fuel the anti-MMJ fire in Colorado and elsewhere, even if the study itself is questionable. Consider the source — the feds — and also the type of data presented. While anecdotal incidents are instructive, they shouldn’t be allowed to paint the whole industry with tar and feathers. Of more concern than the report itself is what it likely signals: An impending federal campaign to attack Colorado dispensaries with the same zeal they’ve shown in California. If you think Colorado’s tighter, for-profit regs are going to get any more respect than nonprofit collectives in Cali, you’re underestimating the feds. Any reports they put out are just political cover for the guys already planning to swoop in with guns and badges. Welcome to Prohibition 2.0. That’s exactly what we are getting at. As we stated, this could be damaging (even if it has more holes than swiss cheese) because the feds will likely use it to put pressure on the MMJ industry in Colorado. Thanks for the comment. Complete garbage. This is just the mad at the world editors and other people of power in the industry trying to get “back” at CO for exploiting the terrible CA laws, that got them shut down. (deserving so) CA has been a drug dealing paradise since 1996 and its proven by their own elected officials working hard and openly to shut the MMJ industry. In CO, we have elected officials such as Jared Polis and District Attorney Stan Garnett fighting the Federal Government to keep the MMJ industry alive. Denver city council is publicly behind our MMJ industry, and most certainly would never approve of a ban! Colorado has the best political climate in the WORLD for legal Marijuana sales. We have over 190 pages of statute to regulate our industry,regulating everything from clone to sale. We also have a Department of Revenue division entirely devoted to enforcing these rules called the Medical Marijuana Enforcement Division (MMED). The MMED has access to live feed footage in every store and warehouse in the state. CA has nothing like the MMED or its equivalent. CO MMJ business owners are also united and active in helping legislators make statutes. We have over 5 organized trade groups such as MMIG, CBA, and Act4CO. CA has ZERO TRADE GROUPS. (With more than 3 times as many stores, go figure)This is evidence that MMJ laws in CA entice criminal business owners to participate. It is not mistake that every state looking to implement MMJ is copying a portion, if not most of the CO MMJ rules and regulations. These rules can be found for free at the Colorado Department of Revenue site, just click on “enforcement” then “Medical Marijuana”. I read MMJ Business Daily everyday, I am disappointed in the editors lack of education about the most influential and stable Cannabis state in the world, COLORADO. “Colorado has become the ‘epicenter’ of the movement to change marijuana laws.”-Keith Stroup founder of NORML. The era of California being the Cannabis capital of the world is over, I think its time we face it instead of being jealous. Thanks for you comments. We don’t dispute your opinion at all. In fact, we have stated numerous times that the epicenter of MMJ has moved to Colorado. We agree that Colorado should be held up as a model for other states and often stressed the need for such regulations in other states. Keep in mind that we didn’t actually write this report, and we didn’t weigh in on whether it actually has any merit. We wrote about what the report contained and then analyzed the potential fallout. Like it or not, the feds and the anti-MM crowd could use this to attack the industry in Colorado. Whether Colorado’s regs are the model is subject to debate; all the video cameras in the world can’t stop diversion after the point of sale, and the DEA and U.S. Attorney’s Office sure don’t give a damn about your regs. If you’re putting all your eggs in the we’re-better-than-California basket, you’re bound to be disappointed when the raids come down anyway. For federal-supremacy theorists, the Controlled Substances Act trumps not only state regulations but all attempts at local regulations too. Ever since 1996, advocates and lawmakers in other states have passed rules and regulations designed to ensure that only “deserving” patients get safe access while common stoners go pound sand. It’s a game of semantics, making it virtually impossible to serve those deserving patients in our collective quest to keep the stoners out. Ten California cities passed voter initiatives to tax and regulate dispensaries in 2010, and those model regulations are in no better shape than the Prop. 215/SB 420 model that everyone bags on today. The feds aren’t just taking down dispensaries, they’re taking down any notion of federalism and state’s rights. If you want to express pride in what’s happened in Colorado, that’s cool with me. I wish more people in Cali would get on board with reasonable regulations (without the video feeds, for example). The odds of that happening haven’t exactly improved with the federal blitzkrieg, which often involves standing invitations from local law enforcement. You know I have heard that over 50% of the population of the US is for legalization or decriminalization of Marijuana. And since Mr. Obama has confessed that he had used the substance in both High School, and college. He must know in his own mind what is really is. So why would he leave it on the schedule 1 list, when heroin is on schedule 2 list? Is he saying that knows that it is worse than the harder, and addictive drugs? Or is he being paid off by big business, such as cotton, paper, big pharmacy?? What I was getting at, when Nov. general elections roll around, the voting majority could teach a good lesson to the politicians that wont, or don’t want to, listen to the voting majority. Get rid of the people that wont listen to you, and if you can’t do that then get rid of the people that put them in there and put some one in their place that will get rid of them.. After a while the politicians will learn that the majority can still rule, and what they want will still go. state patrol in Kansas along I-70 from Oakley to Hays has started profiling drivers to pull over. I believe this because on one trip in Oct. it was rather windy and I (a male driver alone) was stopped for swerving . well everyone was swerving, the officer asked if I consented to a search which I agreed to –and was released with a warning on swerving. On the trip back I happened to be thinking about the space between myself and the truck in front of me. Literally, at that moment I came over a small hill and was again profiled –by that I mean the officers (in both these cases) pulled up beside my vehicle to look me over and then let me pass and then pulled me over. This time it was because I was supposedly following to close (which I instantly knew was baloney as I had just been thinking how many care lengths I was away from that truck. (at least 10). again I was asked for consent to search –and said yes -_as I never have mmj when I travel -its just too risky. He didnt search but gave me a warning (and a “two second rule” for spacing) after asking me to take off my sunglasses and obviously sniffing for clues. increased fabricated reasons for stopping necessarily means finding more folks who are willing to risk taking mmj and medibles with them. I dont trust the DEA or the ONDCP. Leonhart willfully lied and diverted questions regarding mj being equally harmful as heroin. This signifies that she is more interested in getting at “hippies” than she is in truly using her position in law enforcement as a protector and enforcer for justice. Their concerns have zero to do with marijuana consumption and the effects of it on people and purely a way to jail and harass a group of people they personally dont like. I do hope Obama gets elected again and truly does start the discussion to end this madness. im kind of upset at the raids but cannot blame him personally as I know the DEA and US attorneys have great discretion to pursue whatever they feel like pursuing regardless of Obama’s direction to them to not target mmj dispensaries. so I still have hope. I guess Ill know where he truly stands should he get that second term. Until then I keep fighting at the local level -truly need to rid ourselves of Conservatives running for office who are still victims and purveyors of propaganda. where exactly did I make that claim Mr Wigle? I personally could care less what people use MJ for. It should be legal. I dont care if half the mmj community is lying — law enforcement has been lying about MJ for decades and now you’re pissed their own tactic is turned on them? Awww. They’ve been out smarted by the cannabis community again. I’m showing law enforcements sudden decision to start making up reasons to pull people over and search their cars is at least partially responsible for their claim. which then shows that it is not necessarily failed regulations this much mj could have been passing through other states for years. What I said was suppose to be a joke Jack, Use your imagination. I am not disagreeing with you. I have been profiled by a state trooper in Okla. then he lied about it in court. I have no love or respect for a crooked justice system. I have experienced some in my life.